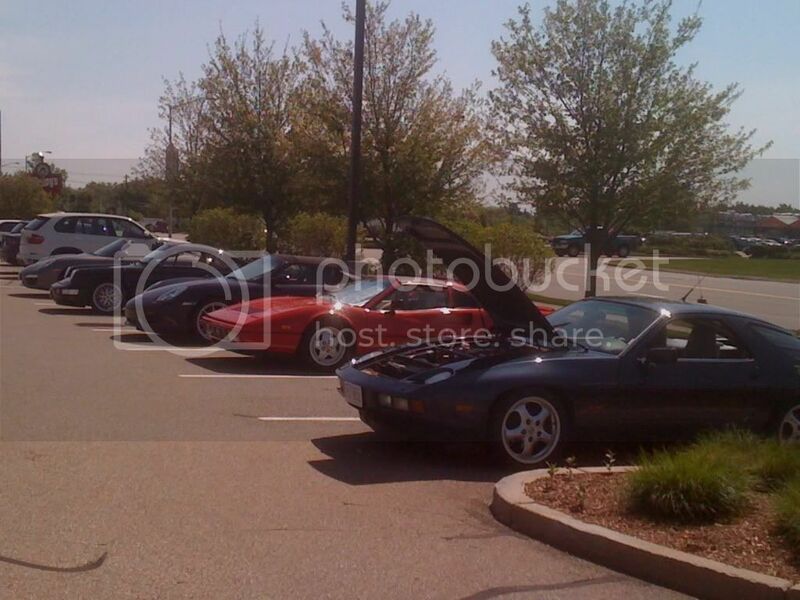 We've been doing a Cars & Coffee gathering in Taunton, MA for about 2 years. A friend mentioned your website so here is info for our 2013 season. Feel free to extend the invitation to friends, family and other car nuts (doesn't matter what make). Preference is to keep things low key so we don't attract unwanted attention. Location Description: The location is perfect for this type of get together. The traffic is light on Sunday Mornings since most of the stores are still closed. We often get people that will stop by to look at the cars and ask questions and we have never had any bad experiences. Local patrols also leave us alone which is nice. If we get a big draw of cars we can always park at the Circuit City parking lot across the street which has a huge lot and no traffic. Weather Permitting: Most of us don't mind meeting up on cold or overcast days but rain really spoils this one since we are standing outside. If it's raining or looks like it will assume the GTG is cancelled. We may schedule for the following weekend if there's interest. This isn't just for Porsches, so as mentioned earlier if you have friends with other fun cars feel free to invite them or bring them along. 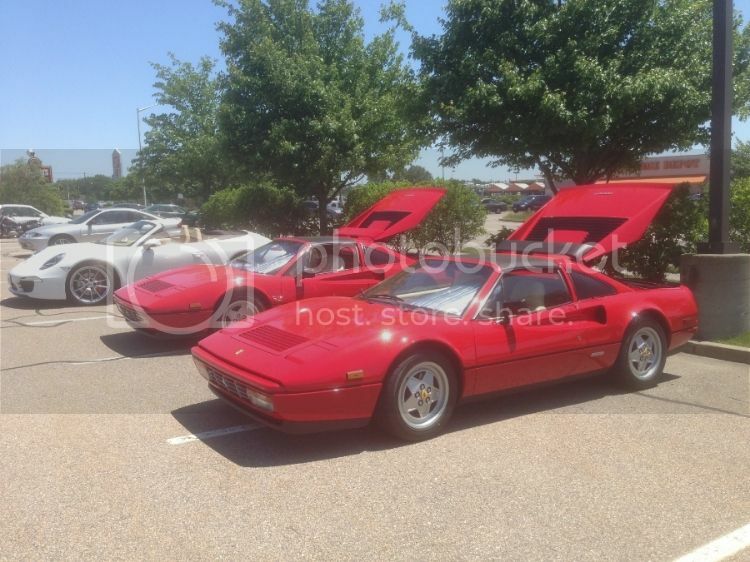 This get together fills the void between the bigger PCA and other Car Shows. I and others will try to provide updates so everyone knows when the next GTG will be. Looking forward to catching up with our regulars and meeting some new car friends too. Below are a few photos from last summer. Last edited by Dino944; 04-02-2013 at 05:16 PM. Dino, looks like Sue will not be riding with me Sunday. Since i will have an open seat, I'll ask one of the guys at work if he wants to tag along and drool. I know afshin moved a few months ago. That's why i mentioned telling him now about the meet because of his travel time. Sounds great. Looking forward to seeing you there. Yes, Afshin would definitely need a few days head start to get there in time. It was good catching up with a few regulars at our last C&C. There are several car events going on this coming weekend for Lotus and Porsche owners (which includes several of our regulars), so we are NOT doing a cars & coffee on 4/21. Our NEXT C&C will be on May 5th. Hope to see some new faces at the next C&C and looking forward to seeing our usual suspects too! 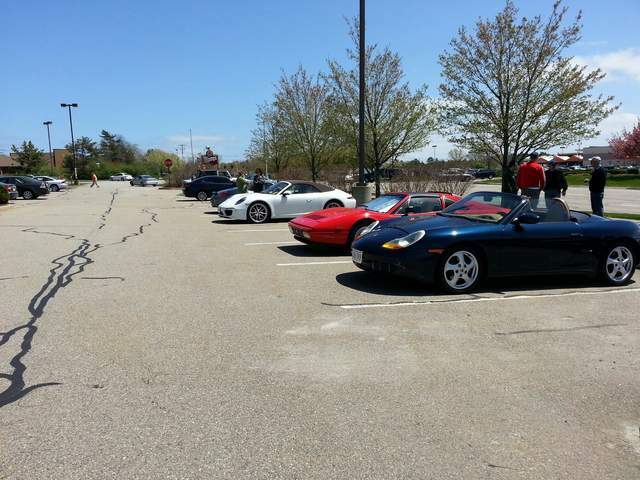 our next cars & coffee in Taunton is Sunday, May 5th. We've had 987s, 991s, 993s, 911s, 944s, 964s, and 928s...but so far no 986s. Hope to get a few of you to come out and join us. Dino, I'm trying to pass on the words to others who do not frequent this board. Jill and I will see you on Sunday. Well I went to Car's and Coffee in Taunton this morning and had a great time. Met some new friends and saw some very nice rides. I was the only 986 there and there was one 987 from just south of Boston. The on/off ramps at 495 & 24 are brand new and was a bit fun so I had to do them all before heading on my way home. Maybe we can get a few others from here to join in some Sunday morning. It was great meeting you today. I was glad to see some 986 representation at Cars & Coffee this morning and I hope others will join you in the future. I'll be bringing my 987 to some of the events. We also did a drive last year through Southern RI into CT which was a blast! We hope to do a few drives this year. I look forward to more beautiful weather and car events. most enjoyable Sunday morning. visit with old friends, and make some new friends. the ladies seemed to enjoy the sun, wind & cars too. Sue & I headed south over the Sagamore Bridge to pick up finished product for one of Sue's customers. Top down from Taunton, over the bridge and back to Pembroke with heat on & Sue's heated seat on finished our P-Car day. See you all in two weeks? Yes, Jill had a good time chatting with Sue and enjoying the sunshine. Sounds like you guys had a great drive in the 991. Jill and I dropped off our car and went to lunch outside overlooking the water at a little seafood place that's about 2 miles or so from our home (their parking lot is a bit tight for nice cars...so the Subie had lunch duty). 2 weeks (May 19) sounds great to me. See you soon. 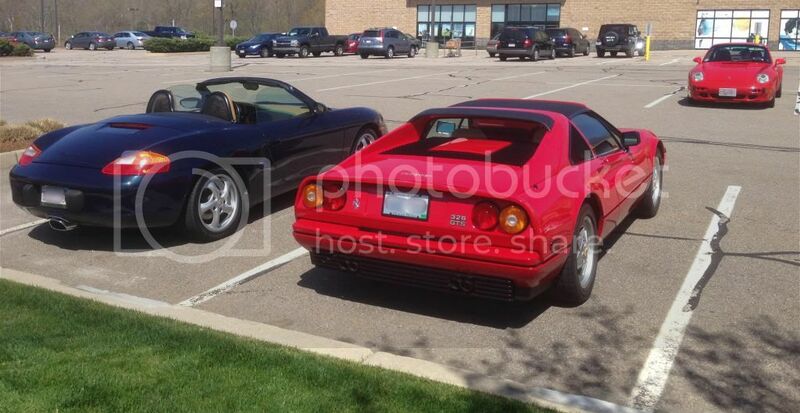 Just a quick reminder our next cars & coffee is Sunday, May 19th. There will be a new 981S and a 987.1 at C&C tomorrow. I hope some 986s will join us also. See you guys there. Nice turn out today. No 986s, but some cool cars and Boxsters were represented by my RS60 and a 981S. Hope you guys will come out and join us soon. Below are some quick pix from today. Our next C&C is this Sunday 6/2. Hope some 986 owners will join us. Bugger as mine is in the shop. It's certainly more fun if you have a cool car to drive to C&C. But feel free to drive your regular car and come out and meet some of our "Usual suspects." Looking forward to meeting you soon. Dino, the pollen & I will be there Sunday morning. Sounds great! See you Sunday. Just a few quick photos from yesterday's meet (sorry not all cars made it into the photo). We had a nice grouping of people and cars. 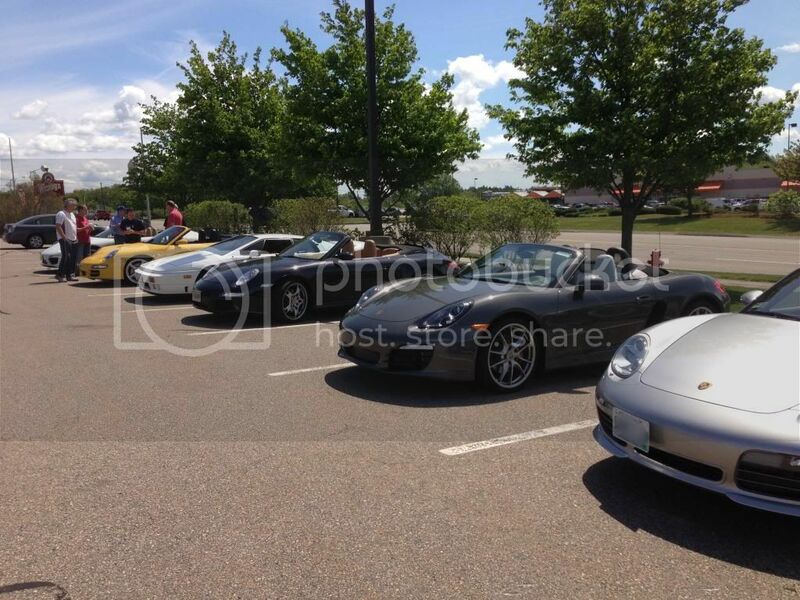 Hopefully, we will get some 986 and 987 owners that frequent the board will join us for the next gathering on 6/30.